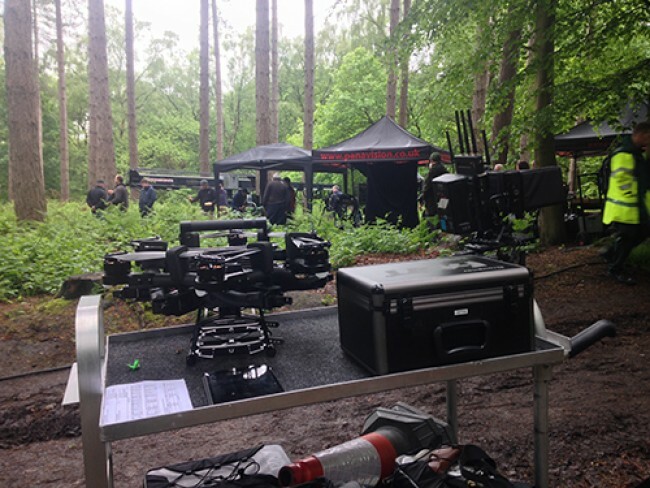 We supply high performance aerial camera platforms to the TV and Film industry. Using the latest stabilisation systems and experienced, qualified pilots we operate in the UK and beyond. Since we traversed out from the camera department and into the drone industry, our mission has never changed; to deliver the Directors vision, and using our 13 years experience in the TV industry, we can do it with a smile! Using a fleet of UAS (drones) we have the kit for the job. From Alexas to Go Pros we can lift the sensor your looking for. Our MoVI gimbals are adaptable, to suit your production needs. HD downlink via the Teredek system means video village can receive a live feed from the air. 2016 saw us branch into 360 VR filming, an exciting and entirely different way of shooting! We’re keen to hear from you if you have a 360 project. Our ALTA 6 is up for sale - Send us a message to enquire. Includes MoVI M5 and/or M10.